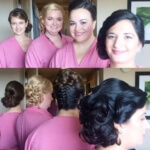 At Christie-Adam Salon, you will find an abundance of talent among our team of hair stylists. 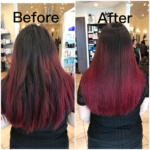 Each of our Northern Virginia hair stylists specialize in both cutting & styling and color & highlighting. 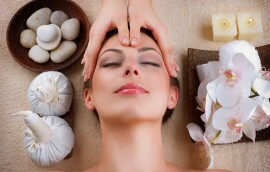 The spa at Christie-Adam Salon & Spa offers a vast number of specialty services, perfect for pampering and relaxation! 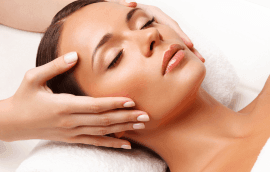 Skincare services are offered and performed by our master estheticians. Christie Adam is a full service Hair Salon and Spa that was established in 1999 in Great Falls, Virginia. It soon became one of the premier Hair Salon and Spas in Northern Virginia. Over the years it has continued to grow and is always on the cutting edge of new trends in the industry. In February 2014, Christie-Adam Salon & Spa came under new ownership and management. This change has resulted in many positive changes to the salon and has greatly improved the overall client experience. The new owner has a passion for providing every client at Christie-Adam with an exceptional experience. We pride ourselves on being able to provide our clientele with highly skilled stylists, estheticians, massage therapists and nail technicians to ensure complete satisfaction with every visit. The art of coloring and styling hair has been carefully mastered by each of our stylists, adding their own unique touch to the art form. When visiting our spa, total relaxation and well-being is our main priority. Our goal is to leave each client feeling relaxed, refreshed, totally transformed, and confident in their new look. We look forward to you trying our salon and spa, we know you will be pleased. 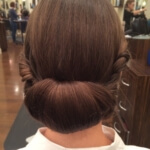 Our hair salon services the following areas: Herndon, Leesburg, McLean, Reston, Sterling & Great Falls, VA.